Mom was in Kennedy Hospital from October 12-16 and October 18-November 5, 2013. During her stay, she was in the Emergency Room (ER), the Intensive Care Unit (ICU), the Progressive Care Unit (PCU). The nurses that provided Mom’s constant care were just simply amazing. These nurses have such an intense and difficult job to do, and yet, they come in every day and provide attentive and compassionate care to those who need it the most. They are on call 24 hours a day, every day, in the event that you should ever need them. Our family was so inspired by their dedication to their profession. It was truly impressive, and it wasn’t just a few nurses, it was every single one of them. We made it a point to thank them all, but we can’t thank them enough. We have all of their names and will be writing letters of appreciation to every one of these unsung heroes of our society. To honor Mom and these amazing women and men, we are honored to establish the “FLORENCE GROUS MEMORIAL SCHOLARSHIP“, to be awarded annually to a Rutgers nursing student who is about to dedicate their working lives to the nursing profession, just like those RN’s that took such tremendous care of Mom in her time of need. We desire the scholarship to be given to a local student who is nearing the completion of their studies. Rutgers School of Nursing students rotate through Kennedy Hospital as part of their training. The School of Nursing and they are establishing and administering the scholarship fund. Applicants will be asked to write a short essay explaining why they chose nursing as a profession. Our family will help select the recipient and be invited to the award ceremony each Spring to present the award to a deserving student. Donations may be made to Rutgers University Foundation in support of the “Florence Grous Memorial Scholarship Fund”. and write “School of Nursing-Florence Grous Memorial Scholarship Fund” in the memo line. Donations are tax deductible and you will receive a donation receipt. Check with your company to see if they will match your donation. We thank those who have already made a generous donation. It’s come to our attention that some people thought donations were only being accepted at Mom’s funeral. Be assured that donations to Mom’s Scholarship Fund may be made at any time, now or years from now. Several people have mentioned they will contribute annually. Thank you for considering a contribution now and in the future. Thank you to all who sent cards or attended Mom’s viewing, funeral and luncheon. People travelled from all over: Oregon, Texas, Virginia, Florida, Massachusetts, Pennsylvania, New Jersey. We really appreciate those that took the time and expense to travel such long distances. Thank you to the current and former Pastor of St. William for con-celebrating the Funeral Mass. Monsignor Mortimer is now 84 and claims to be retired, although he doesn’t seem to have slowed down a bit. He was a long time pastor and is a great friend of Mom and Dad’s. Father Joe Watson grew up in the parish, and is now the current pastor of St. William in Northeast Philadelphia. Father Joe initiated the request to the Vatican for the wonderful 50th Wedding Anniversary blessing from the Pope Benedict. I hope you had a chance to view it in the lobby before Mom’s funeral Mass. Thank you to Father Ed for leading the Mass and pastor, Father Tony, for also con-celebrating. Thanks to Marie, Barbara, and Mary for reading during the Mass. Thanks to Jim Rementer, Music Director, for the beautiful music during the Mass. Jim visited with us at Mom and Dad’s house and spent a few hours with us going over all the selections and details. We thank him for his time and talents. We couldn’t believe it when several people from the hospital staff came to the viewing and funeral. One of Mom’s many outstanding nurses, the Nurse Manager from the ICU, the Assistant Nurse Manager from the PCU, Kennedy Hostpital’s Chief Nurse, and the Customer Services Director all took time out of their busy schedules to pay their respects. I have to believe that is highly unusual, so thank you to each of them. The Crystal Street gang so was great to see. Thank you so much for attending. Former bosses and coworkers attended as well. Wow, Mom must have made quite an impression at work – and here I thought Mom always treated work as a social event! Many of Mom and Dad’s friends, neighbors, Senior club members stopped by and we appreciate the effort it is for many of them. The Mayor also took time to pay his respects. Thanks to all of you. Bob Fertig, and his staff from Fertig Funeral Home, were fantastic and took care of every detail. Thank you for a job well done in guiding us through the funeral and burial process. Of course, the extended Grous and Walker families gathered from near and far, many times over the past few weeks. Thank you for your non-stop support and encouragement. What a privilege it is to be part of such a strong and loving family! Special thank yous to Keith for flying in from Oregon, Mary for flying from Texas, and Marie for coming in from Boston, Billy and Bert for the long drive from Florida. As we put our everyday lives on hold to be with Mom, our spouses took care of absolutely everything. We are so very blessed and fortunate to have John, Beth, Lorraine and Bill as our spouses. We love you and thank you for everything! Many expressed interest in donating to the Nursing scholarship being established in Mom’s memory. Thank you very, very much. Monday’s Funeral Mass was a beautiful tribute to Mom. We appreciate everyone who took part. 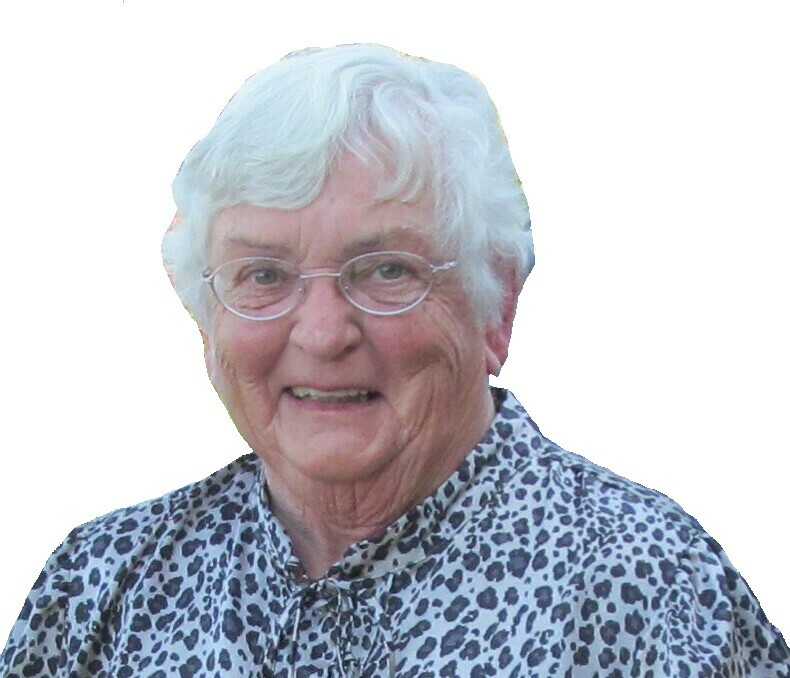 Florence “Sweet Pea” Grous, (nee Walker), 76, of Mullica Hill, NJ passed away peacefully on Nov. 5, 2013. 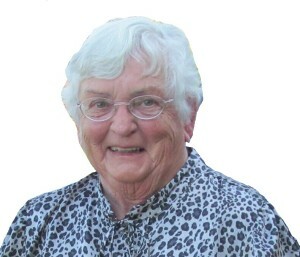 Cherished wife of Philip P. Grous, treasured mother of Carolyn (John) Griffin of Maple Shade, NJ, Paul J. (Beth) Grous of Sudbury, MA, Alice (Bill) Kapustiak of Valrico, FL, and Gerald (Lorraine) Grous of Phoenixville, PA. Proud Granny of Kate, Billy, Patrick, Kristen, Gregory, Daniel, Jennifer, Madeleine, Caroline, Eleanor, Addison, Brian and Anne. Great Granny of Anthem and Harlow. Dear sister of Eileen Ridgway, William Walker, Barbara Walker, Regina Waters and Marie Scanlon. Predeceased by her parents William and Frances (Connell) Walker, and siblings Frances Schenck, Joseph Walker and Jane Furlong. Viewing Monday Nov. 11, 2013 at the Catholic Community of the Holy Spirit Parish Center, 17 Earlington Ave., Mullica Hill, NJ, from 9 to 10:45 am. Funeral Mass will be celebrated immediately following. Interment private. In lieu of flowers, donations may be made to the Rutgers University Foundation in support of the Florence Grous Memorial Scholarship Fund, to be awarded annually to a nursing student, Attention: Martha L. Bahamon, Rutgers School of Nursing, 65 Bergen Street, Suite 110, Newark, NJ 07107-3001. Mom was in the hospital for the past few weeks, in the Intensive Care Unit (ICU), the Progressive Care Unit (PCU) and the Emergency Room (ER). The nurses that provided Mom’s constant care was simply amazing. These nurses have such an intense and difficult job to do, and yet, they come in every day and provide attentive and compassionate care to those who need it the most. Our family was so inspired by their dedication to their profession. It was truly impressive, and it wasn’t just a few nurses, it was every single one of them. We made it a point to thank every one of them, but we can’t thank them enough. We have all of their names and will be writing letters of appreciation to every one of these unsung heroes of our society. To honor Mom and these amazing women and men, we are honored to establish the “Florence Grous Memorial Scholarship”, to be awarded annually to a nursing student who is about to dedicate their working lives to the nursing profession, just like those RN’s that took such tremendous care of Mom in her time of need. We desire the scholarship to be given to a local student who is nearing the completion of their studies. Rutgers School of Nursing students rotate through Kennedy Hospital as part of their training. We contacted the School of Nursing and they are establishing and administering the scholarship fund. Applicants will be asked to write a short essay explaining why they chose nursing as a profession. Our family will help select the recipient and be invited to the award ceremony each Spring to present the award to a deserving student. So, in lieu of flowers, we are requesting that donations be made to Rutgers University Foundation in support of the “Florence Grous Memorial Scholarship Fund“. For donations to be properly applied to the fund, be sure to make checks payable to “Rutgers University Foundation” and write “School of Nursing-Florence Grous Memorial scholarship Fund” in the memo line. Mail donations to: Attention: Martha L. Bahamon, Rutgers School of Nursing, 65 Bergen Street, Suite 110, Newark, NJ 07107-3001. Donations are tax deductible and you will receive a donation receipt. Check with your company to see if they will match your donation. We thank you for considering a contribution now and in the future. Every nurse was tremendous, but there were two in particular, Sarah and Vicky, who went so far beyond their nursing duties, we were so touched by their compassion. Thank you, thank you, thank you. Obituary will appear in the Philadelphia Inquirer and South Jersey Times on Saturday and Sunday. Mom’s viewing and funeral will be on Monday, November 11, 2013 in Mullica Hill, NJ. The viewing will be at the church from 9 to 10:45am, with the Funeral Mass immediately following. Internment will be private at a later date. There will be a luncheon after the Mass. We will post final details tomorrow. This morning the fire alarm went off in the hospital, followed by “Code Red in Labor and Delivery”. Fire doors and all room doors were shut. Jerry and I were in the room with Mom. Carolyn was coming back to the hospital and was held in the lobby. Fire trucks arrived and gave the all clear after about 20 minutes. Labor and Delivery is on the other side of the hospital. We haven’t heard if there was an actual fire or not. Mom had a comfortable day today, but tonight, we can see that her body is starting to shut down. Sometimes it’s difficult to watch and hear, but we’re working with her nurses to make her as comfortable as possible. She’s resting comfortably at the moment. We’re adding Zofran into the mix to help keep her stomach settled. At 6 am, I discovered that Mom’s rosary, scapular and four medals that have been pinned to her gown were missing. Yesterday afternoon, they changed her gown and inadvertently forgot to move the medals to her new gown. The hospital has contacted the laundry service to retrieve them. Hopefully they will find them soon. They are of tremendous sentimental value to our family, especially one medal in particular, a St. John Neumann medal that contains a relic. One of the nurses, Vicky, even took her personal scapular off her neck and gave it to Mom. That was so touching for her to do that. She even called in yesterday, on her day off to check to see how Mom was doing. She was working today and stopped in several times to see us, even though she wasn’t Mom’s nurse today. Vicky, thank you for being such a caring nurse and a wonderful human being. You are an amazing person. Nurses are on a 12 1/2 hour shift, 7:00 to 7:30. Many have been on duty with Mom over multiple shifts. There have been many CNA’s that have also been terrific too. Today is day 12. Morphine increased to 35 ml/hr, Ativan doubled in dosage and frequency, 2mg every 2 hours.